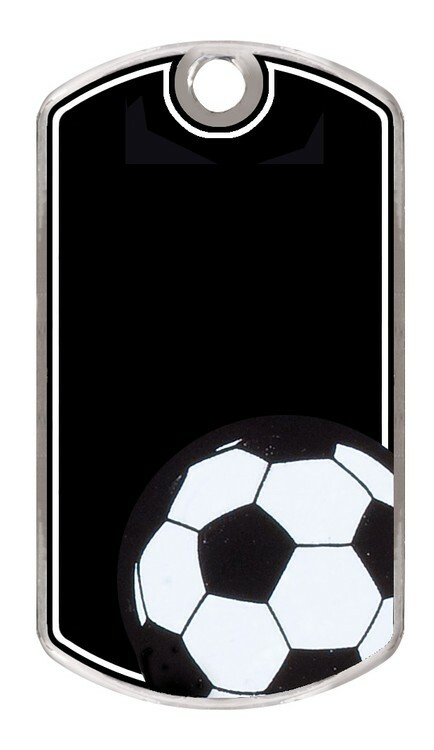 Soccer Metal Dog Tag. Front is black and engraves gray to match the outline of the tag. Back is silver and not engraveable. An engraved or full color insert can be added to the back. Minimum of 10 for full color inserts. Engraving and inserts are not included in the base price. See options for upcharge.